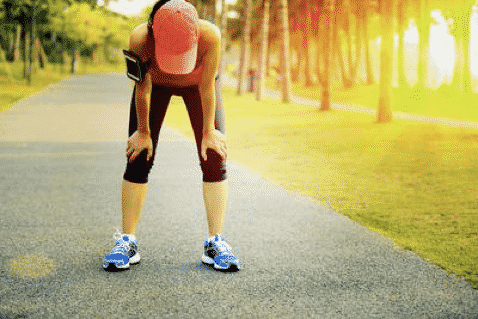 After a gym session, exercise class or long countryside run, the first thing you want to do is sit down and relax, however we have some top tips on what not to do after a tough calorie burn. Whether you go to the gym before or after work, a post work out ‘do’, is to change from your gym clothes immediately. Staying in the clothes you exercised in can increase bacteria spread, even if you didn’t sweat that much during exercise. Changing from your gym kit also promotes circulation, which aids the muscle recovery process, post-workout. If you’ve spent a few hours at the gym, you deserve a day on the sofa, right? This maybe so, but it won’t do your muscles any favours. Sitting down and keeping movement to a minimum won’t help your recovery process. Light movement is the best way to continue with your day. A few light stretches or a walk around the park. Sadly, the myth of ‘eating whatever you like because you worked out’ isn’t true. It helps to plan ahead, and have some healthy snacks to hand post-workout, so you don’t undo all your hard work with bad foods. The type of foods you need to eat post work-out are complex carbohydrates, a little fat, and protein to help your muscles recover. Don’t overstretch yourself! After a workout, you seem to have a bag full of energy that you didn’t have prior to your calorie burning session. However, post-workout, your muscles can grow tired, as they are partially dehydrated and undernourished. Give yourself a few hours to recover, and tackle the big jobs once you have regained some strength. Finally, don’t skip your rest day! Even if you only spent a short amount of time at the gym the previous day, it is very important that your body has enough time to recover well, no matter how intense the exercise.